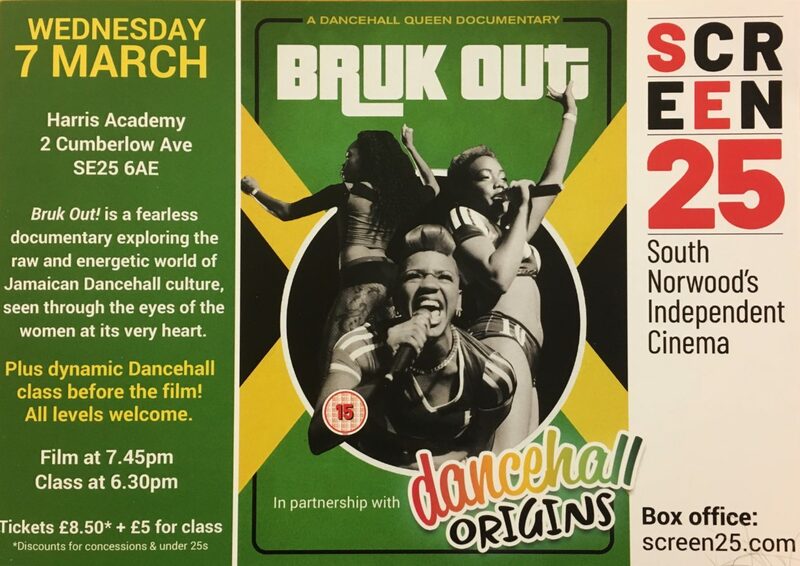 On Wednesday 7 March, Dancehall Origins was thrilled to present another screening of Bruk Out! 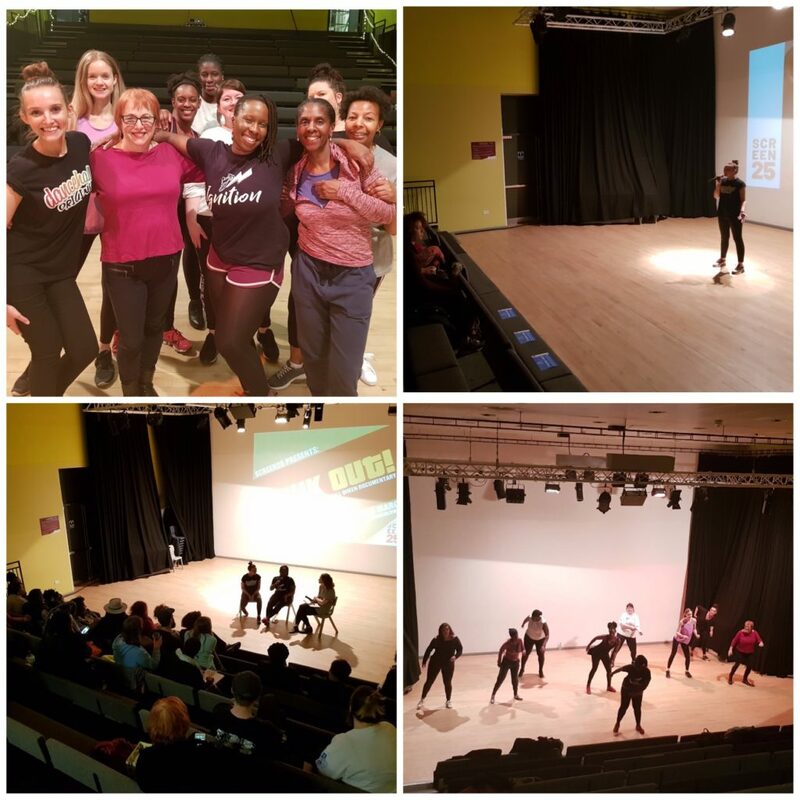 A Dancehall Queen Documentary in London, this time working with Screen 25 to programme the evening, which featured a special Dancehall class with Ignition Dance Company plus a Q&A with IDC and DHO – focusing on women in Dancehall and the UK scene. Top right/bottom left: participants in Ignition Dance Company’s Dancehall Class. Top left: DHO introducing the film. Bottom left: panel discussion between Screen 25, DHO and IDC. Big thank you to Katie and the team at Screen 25 for partnering up with us and hosting the event at Harris Academy in South Norwood. Thank you also to our eight DHQs-in-the-making for joining the class, and to our brilliant audience (of 50 people!) who even cheered when the International Dancehall Queen 2014 was crowned. Huge thank you to everyone involved and to all who came out. Watch the trailer for the film below and read a blog on the event here. Bruk Out! follows six outspoken and unique female dancers from around the globe as they overcome adversity to compete in the world’s biggest Dancehall Queen competition. Their obsession with the vibrant underbelly of Jamaican dance leads the women to conquer body issues, poverty, domestic abuse and the struggles of being a single mother, all while keeping their eyes on winning the biggest prize in Dancehall. Find out more information about the documentary here and stay tuned for more screenings in the UK.